To say that January has WHIZZED BY in a blink of an eye, is accurate. This month has also been rough. I mean, my wallet is empty, my heart is hurting and emotions are running high. To also say that it took me nearly 30 days to write a blog post though, is no surprise. I saw this on someone’s feed and shamelessly downloaded it. But true right? I’ve been wanting to write nearly every Tuesday (Tuesday is my designated ‘blog post’ day) but clearly, that has not been happening. True, life has gotten busier, more exhausting and more expensive – doing #adulting tasks and not even wasting it away, sigh – and napping now seems like a better alternative to sitting down to writing a blog post. Writing – man there has been a lot of it. Not here, obviously, duh. But paid writing gigs, woot. Bigger writing projects than anything I have been commissioned before. If by chance it does get published, I’ll leave a link somewhere. Health – I’ve had some health concerns this month. Nothing too alarming, just expensive. Here’s to staying alive. Money – an odd thing to be grateful for but money has been very useful in paying for #2. Reflections – I’ve been doing a lot of this during January. I have begun something what I call a ‘Daily Happens Log’. It’s a bit silly-sounding but it is what it is. It’s a small journaling activity and yes, I have a reminder set for that too everyday. Loved ones – Didn’t I say that January emotions were running high? It has been and some of those closest to me, even the ones whom I haven’t been speaking to much, have been of help, silently, helping me reflect better and even heal. January has been a month of healing. 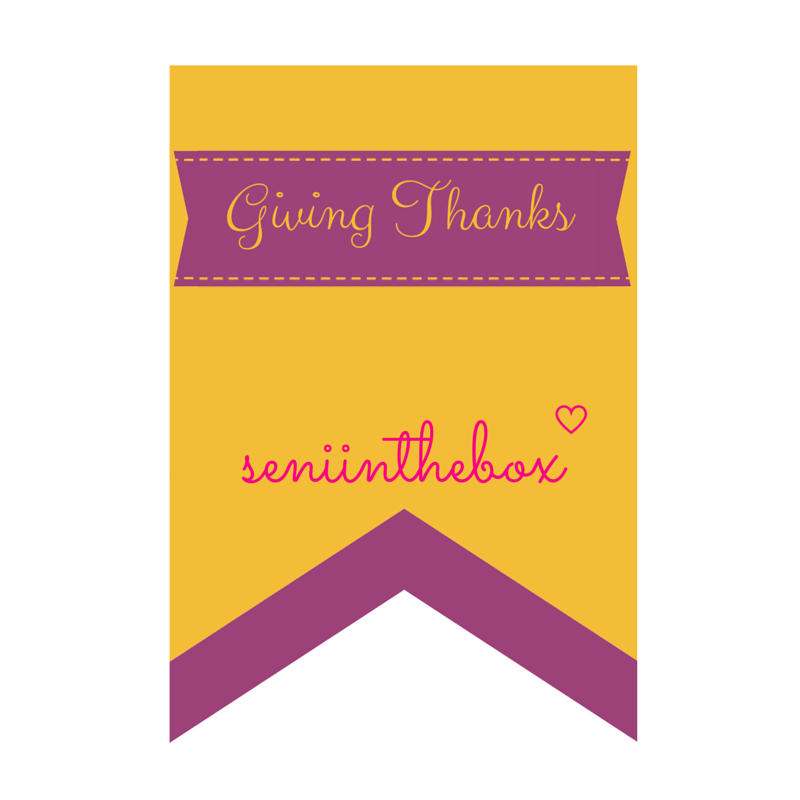 Tell me your list of ‘gratefuls’ for this month we are so glad to close off. It’s been too long since I last gave thanks. Work, life and usual and some unforeseen shenanigans happened and before we even know, September has come and gone. Today, I don’t want to count my list of thankfuls. Instead, I want reminisce and recollect some of the people and times in life that have truly made me feel grateful (that may also not necessarily be limited to this week). I am grateful for those who chase their dreams. Cliché but true. Too true even. Never has a generation been as blessed as they are now. More clichés coming at you. Neither has any generation before us been able to dream up or cook up career goals and actually achieved them. Most things are no longer #TumblrAF but are actual goals that people are able to achieve. It’s these sort of people that actually make me adamant on not working full-time and embracing this supposed-pyjama living life. Also, I may have not yet found the perfect fit to do full-time too, I don’t know. This twenty-something is still figuring things out. Also, I don’t own actual “pyjamas”. More like some shorts and t-shirts I pair together for sleeping reasons. I am grateful for the little things that make my day. I sometimes try very hard (and fail) to capture moments through either photograph or text on how a little girl reaches out to hold her Mother’s hand while crossing the road. Or even better, when a dog crosses the road using a pedestrian crossing! Yes, I have something to do with pedestrian crossings, just in case you haven’t realised. Or seeing people celebrating love, happiness or even sharing the last cigarette until pay day while having tea from a nearby kadey. I am grateful for this year. It’s too early for an annual review just as yet but where the hell has this year flown by? It seems like it was only yesterday when we were playing Monopoly and nomming on my cheese stuffed chicken while New Year was dawning. It’s been a good year. There have been difficult times and the next few months to come will be filled with an anticipated few too. But we carry on. We hustle. We stay strong. What are you thankful for in your life so far? Happy September! I know forgot last week but let’s try to pretend as though it never happened okay. Because, it never did, haha – get it? ohgoshIlovemydryjawkssomuch. My sister, who is home this week – YAY. Holidays on weekdays, need I say more? Not allowing myself to work on weekends, unless it’s something that can’t wait. Because we all need to have boundaries at some point. Even those of us who work from home. Being published on Bad Yogi, again! YAY.